"Disney's Beauty and the Beast" will be performed Friday through Sunday at The Dock Street Theatre on Church Street downtown. Charlton Singleton will join the Charleston Symphony Orchestra for a Pops! concert on April 5 at the Charleston Music Hall. "Disney's Beauty and the Beast," produced by Charleston Stage, is being performed at Friday through Sunday at the Dock Street Theatre. Matthias Schoenaerts (left) and Jason Mitchell play prison inmates in a rehabilitation program that uses wild horses. The film is playing at the Terrace Theatre. The Cooper River Bridge Run draws thousands to the Charleston area for a 10K race. But if you are in town for more than the day of the race, why not exercise your mind as well as your body? 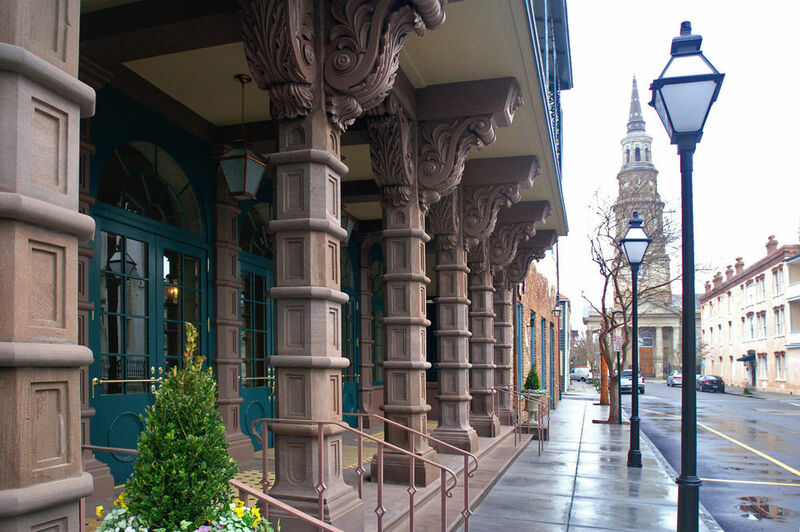 Why not take advantage of some of Charleston’s lively cultural offerings? The Charleston Music Hall, 37 John St., is hosting three very different performances the weekend of the Bridge Run. Something for everyone, as they say. Dark Star Orchestra, a Chicago-based Grateful Dead cover band, takes the stage Thursday. Local trumpeter Charlton Singleton joins the Charleston Symphony Orchestra for a Pops concert Friday. And sax player Boney James, whose pop and jazz ventures have earned him Grammy nominations, performs Saturday. For more information and tickets, visit charlestonmusichall.com. If it’s classical music you’re looking for, try a program of chamber works titled “Me Three: Exploring Female Composers,” featuring violinist Janet Orenstein, cellist Brooks Whitehouse and pianist Allison Gagnon, all hailing from the University of North Carolina School of the Arts. The concert is hosted by the Charleston Music Fest series of the College of Charleston. The recital is 7:30 p.m. Thursday, April 4, and tickets are $25. The trio will perform music by, among others, Sheila Silver and Rebecca Clarke. For more information and tickets, visit http://music.cofc.edu/concerts/charleston-music-fest/index.php. Or perhaps you prefer a good play. Pure Theatre, an energetic local company known for its smart ensemble work, is presenting “A Doll’s House, Part 2” by Lucas Hnath, with a preview at 7:30 p.m. Thursday and opening night Friday at the company’s new home, the Cannon Street Arts Center, 134 Cannon St. Another performance is scheduled for Saturday. Tickets are $35. The play was nominated for eight Tony Awards in 2017 and won the Outer Critics Circle Award for Outstanding New Broadway Play that year. It continues the story of Nora Helmer, who, in the final scene of playwright Henrik Ibsen’s 1879 groundbreaking masterwork, makes the shocking decision to leave her husband and children, and begin a life on her own. In “A Doll’s House, Part 2,” Nora has returned, many years later. For more information and tickets, visit http://puretheatre.org/. A family friendly option is Charleston Stage’s “Disney’s Beauty and the Beast,” the musical featuring songs by Alan Menken, Howard Ashman and Tim Rice. You know the story. This version at the Dock Street Theatre, 135 Church St., will feature professional actors and high production values. Tickets are $28.75-$70.75. Showtimes are 7:30 p.m. Friday, 2 p.m. and 7:30 p.m. Saturday and 3 p.m. Sunday. For more information and tickets, visit https://charlestonstage.com. Just off Upper King Street is the Woolfe Street Playhouse, 34 Woolfe St., home to Village Repertory Co., which is presenting the comedy “Ben Butler” by Richard Strand and directed by Keely Enright. When a runaway slave demands sanctuary at a Union Army garrison, the general in charge, played by Robbie Thomas, is faced with a moral quandary: follow the letter of the law, or make a game-changing move that could alter the course of U.S. history. The play is based on actual events recorded by Gen. Butler, who commanded Fort Monroe during the Civil War. The play runs at 7:30 p.m. Thursday, Friday and Saturday. Tickets are $20-$30. For more information and tickets, visit https://woolfestreetplayhouse.com. If it’s only a movie you want to take in while you’re in town, try the area’s only independent cinema, the Terrace Theater, a short drive from the peninsula at 1956 Maybank Highway on James Island. There you can see “The Mustang,” a new film by Laure de Clermont-Tonnerre. It tells the compelling story of a convict who seeks rehabilitation through a wild mustang-training program. Or check out “Gloria Bell,” a terrific vehicle for Julianne Moore, co-written and directed by Sebastian Lelio, that tells the story of a middle-age divorcee who falls into a questionable romance. Or watch “The Best of Enemies,” an account of the real-life fight for school integration waged in North Carolina by Ann Atwater (played by Taraji Henson). The film co-stars Sam Rockwell as the Exalted Cyclops of the Ku Klux Klan and is directed by Robin Bissell. The movie theater also will have more options. For more information, movie times and more, visit terracetheater.com.